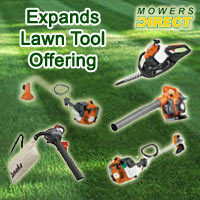 Mowers Direct Expands Lawn Tool Offering. Wide Selection of Leaf Blowers, Edgers, Hedge Trimmers, String Trimmers and Leaf Vacuums Now Available Online. MowersDirect.com - an online superstore exclusively dedicated to lawn mowers - is broadening its selection of lawn and garden tools.